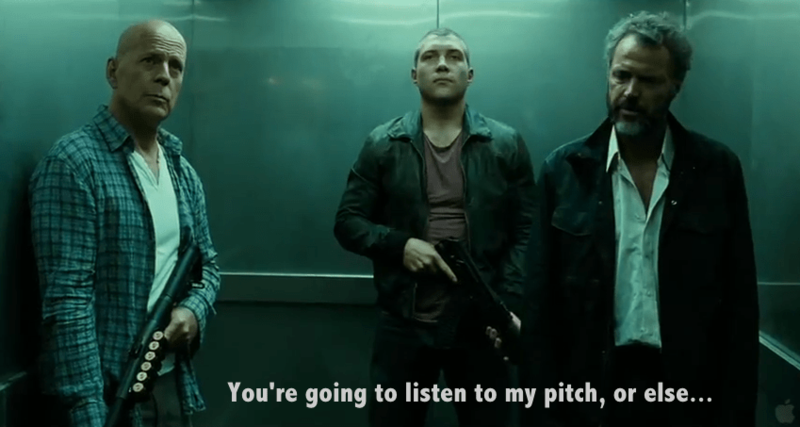 So today in Pitching 101, I’m going to give you some tips on making your elevator pitch as succinct, appealing and not scary – for you or the listener – as possible. #1 – Keep it under 30 seconds. What? But you have five minutes! Is the agent just going to stare at you for the remaining 4 and a half minutes? Hopefully not, but I’ll get to that in the final tip. First, know this: the purpose of an elevator pitch is just to get the listener’s attention, NOT to tell your story from start to finish. That’s good, right? Way less scary to plan – and remember – a short 30 second pitch than a daunting 5 minute presentation! #2 – Start with the Hook. Quickly state the book title, genre and audience, then get right to the hook. What is the most intriguing thing about this story? Express that in one sentence. Hint: the Hook is probably not the story world or backstory or plot. More likely, it is a problem that needs to be solved. It is the “if this happened, what would we do?” question. That said, the hook can be the story world if that world has an inherent problem built into it. #3 – Introduce the MC. The best way to get someone’s attention is to connect on an emotional level. So pick the emotion you want to convey and get the listener on your protagonist’s side. If your story is a comedy, make them laugh and cringe at the situation the hero finds himself in, but make sure the listener empathizes with the hero too so they care what happens next. If your story is a horror, make sure the pitch sends chills down the listener’s spine as they imagine what it would be like to be the hero in your scary tale. #5 – Leave them wanting more. So what happens when your quick elevator pitch is over? Well, hopefully a conversation begins about your book! If your pitch presented an intriguing protagonist with a problem, your audience should want to know what happens to them and how they approach the problem. In short, design your pitch to prompt the listener to ask for more information about your novel. Then relax – you’re no longer pitching, you’re just chatting with someone who’s keen to know all about your book! Not that scary, right? 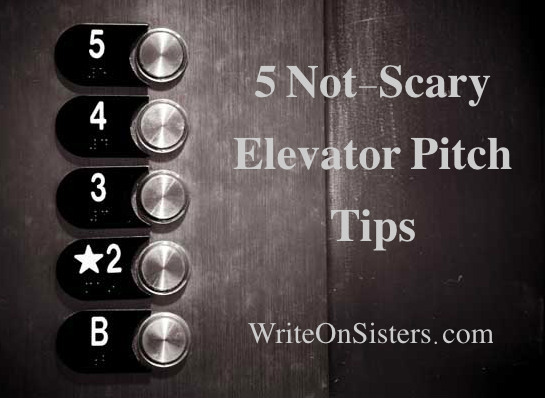 What about you guys – do you have tips on nailing an elevator pitch? After working on my historical novel for nearly so many years now and with the final draft finally coming to a close, I have had the most difficult time with this! Thanks so much for this. It helps a lot! Glad to hear that! Thanks for the comment, Tonya. Some agents say spec fic isn’t a real genre? That’s weird! I wonder if there’s an agent chat somewhere that helps novelists define their books genre. Either way, hope you figure it out. Succinct advice and much needed at the moment. Thank you for explaining the five areas we have to cover. I just hope my car is riding to the top. Glad the timing was serendipitous! Best of luck with your pitch!